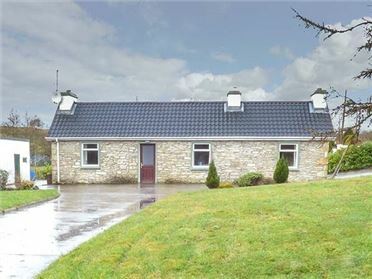 Green Fort Cottage is a traditional, detached cottage set in the townland of Templeboy, on the Wild Atlantic Way, four miles from Dromore West, County Sligo. 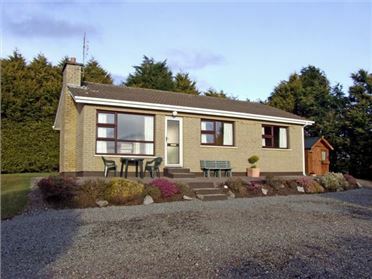 This single-storey cottage sleeps eight people in three bedrooms, consisting of one double and two family rooms with one double and one single, one of which has an en-suite shower. 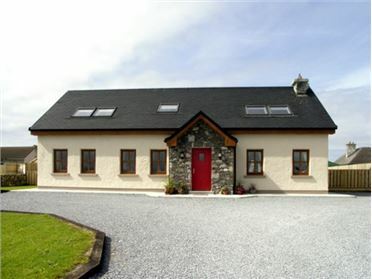 The cottage also has a shower room, a kitchen with dining area and a sitting room with multi-fuel stove. 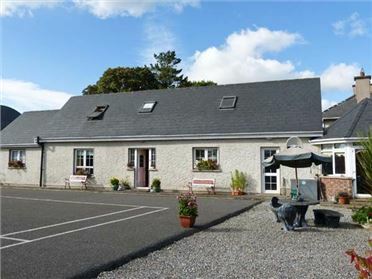 Green Fort Cottage has private access to a sandy beach, and there is something for everyone in the area, making this property a perfect base for your Irish getaway. All ground floor. Three bedrooms: 1 x double, 2 x family rooms with 1 double and 1 single (one with en-suite shower, basin and WC). Shower room with shower, basin and WC. Kitchen with dining area (seats 6). Utility. Sitting room (seats 5) with multi-fuel stove.